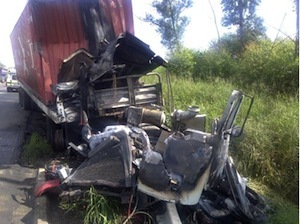 Simi Valley Truck Accident Injury Attorney - Over 40 Years of Experience You Can Trust! Were You or Anyone You Know Hurt in a Truck Accident or Car Accident in Simi Valley? Our Simi Valley truck accident injury lawyers and law office offer vigorous and compassionate legal representation for the injured victims of truck accidents, including victims of crashes with 18 wheelers and big rigs, and for the families of the victims killed in fatal collisions or for wrongful death claims in Simi Valley, a city located in Ventura County, California. Simi Valley has a population of 124,237 and is adjacent to Thousand Oaks to the west, Moorpark to the south and Chatsworth to the east. 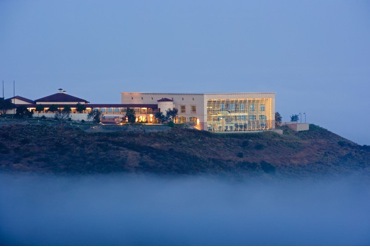 Simi Valley contains the famous Ronald Reagan Presidential Library, where Ronald Reagan was buried and where his Air Force One remains permanently displayed. When on the road, it helps to be aware of the various types of vehicles that are driving next to you as well as having an idea of the vehicles' height and width, because that information can be extremely useful when a certain condition arises that forces you, as the driver, to determine whether a sharp brake will not cause an accident or if a quick lane change would not indirectly force another vehicle to lead to an accident. For example, a lane change or a sudden step on the brakes might not cause a Ferrari to slam into the back of your car, but if a heavy truck is driving at 65mph at just a few seconds behind you, then it is almost certain that the truck cannot avoid making contact with you, even if the driver of that vehicle reacts as fast as possible. Therefore, it can always be helpful to be aware of the different sizes and shapes of vehicles driving on the road with you. Victims of truck collisions go through various types of injuries, from minor to life threatening. One type of painful injury is an elbow fracture injury or Olecranon Fracture injury. An elbow fracture can be caused by falling or having a motor vehicle accident. The damage can go from being a less severe non-displaced fracture to a displaced instable fracture. If the fracture is displaced then surgery is required, but if not displaced, the elbow could heal by being immobilized between four to six weeks. Please contact us now, including for referrals to doctors who may provide treatment without a request for payment until the claim is resolved, if you or a loved one sustained a elbow fracture injury from any truck collision or other personal injury accident in Simi Valley, Los Angeles or anywhere in California. For additional information about our law firm and truck accident injury claims, please go to our Attorneys' Profile Pages and Truck Injury Accident Web Site. The Law Offices of Gary K. Walch, A Law Corp., provides you with the strong advocacy that you need, along with understanding and compassion, when you or a loved one has gone through a devastating truck collision or other injury accident in Simi Valley or anywhere in California. It is our duty to aggressively pursue your rights and best represent your interests. Our lawyers handle accidents involving truck, train, bus, motorcycle, bicycle, car, uninsured motorist (UM), hit and run, pedestrian and much more.